Sarah will attempt to beat the world hoverboard speed record. The Rangers and the town cheer her on as she zooms around the track. But someone else suddenly pops up on the track and that person beats Sarah by 10 seconds. He jumps out of the bushes and it turns out to be Victor. Up on the ship, the next Galactic Ninja is Speedwing. He takes his Ninja Medallion and heads to Earth. Back at school, Sarah works on figuring out a way to increase the speed of her hoverboard. Just then, Victor is welcomed into the school as a hero. Sarah is annoyed, but is sure she will be able to take the trophy away from Victor. 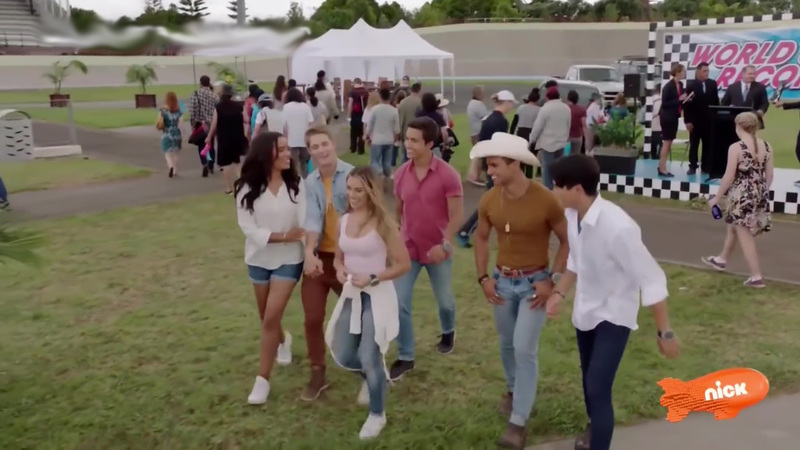 The Rangers join Sarah at the track as she tries out a new suit to go with her hoverboard. She gives it a try and she definitely goes much faster. So fast that she goes flying off her board. 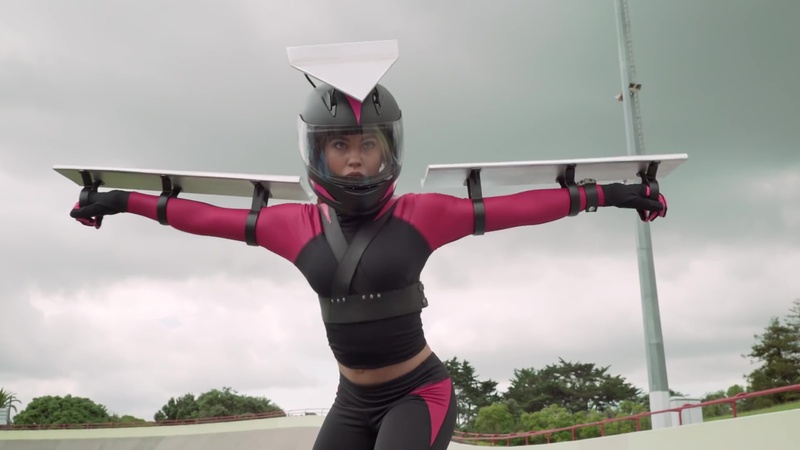 She flies into the air and bumps into Speedwing who flies by. He introduces himself and the Rangers morph. Speedwing uses his Speed Star and he is much too fast for the Rangers. The Rangers refuse to give up. The others keep Speedwing busy while Preston has a plan with Sarah; to trip him on a vine. But Speedwing is able to zap away before the Rangers can finish him off. The Rangers head back to the command shop, but Sarah sees Speedwing has dropped his Speed Star. She picks it up and back at the shop, installs it on her hoverboard. Mick sees her install it and is surprised that it isn’t made of Ninja Steel. He doesn’t think using monster tech is a good idea. He advises her to keep the big picture in her sights instead of being hyper-focused on one thing. At the track, Sarah attempts to break the record again and this time she’s successful. Mick gives her a look. 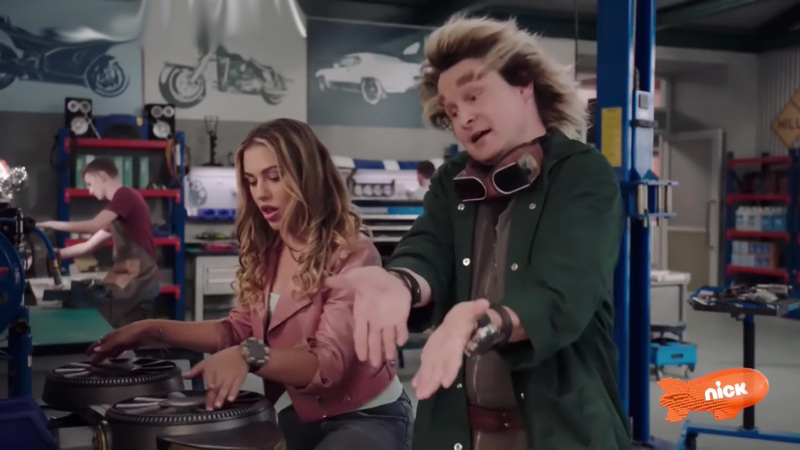 Suddenly, Speedwing appears and makes Sarah admit she used the Speed Star to upgrade her hoverboard. The Rangers morph, but Speedwing is still too fast for them. He approaches the hoverboard, but they shoot the Speed Star out of his hands. The Speed Star attaches to Brody’s helmet and now he can’t help but run. Preston hops in his zord to follow him. Sarah feels guilty about causing this whole mess. Hayley and Levi say it’s okay to want to be the best, but don’t take shortcuts. That gives Sarah an idea. She has Brody hurry to meet them and Speedwing. Brody bumps into Speedwing and the Speed Star sticks into him instead. He can’t stop running. The Rangers do a running roll call and chase after him. Brody goes Lion Fire and the Rangers deliver a Super Steel Slash at Speedwing. Cosmo Royale gigantifies Speedwing and the Rangers hop into Lion Fire Megazord and Ninja Fusion Zord. Speedwing still has enough speed to outrun the Rangers until they deliver a final attack with the Ninja Super Steel Blaster Master Slash Final Attack. Madam Odius recovers Speedwing’s medallion. Back at the track, Sarah admits she didn’t fairly beat the world record and she hands the trophy back. It turns out Victor cheated and the trophy is offered to Sarah again if she wants to try. But Sarah decides to just hang out with her friends instead. Wow! Two good episodes in a row! The episode as a whole was enjoyable and refreshing. Again though, I feel like the Galactic Ninjas have been duds. Not even glorified MOTWs. And really only here to give Madam Odius those medallions. So I feel like the show missed a huge opportunity for a big mini-arc here with what should be four very powerful opponents. Instead, we got more on the main plot of the episode. That is, Sarah’s hoverboard. It’s a good and bad thing. It’s good because as a filler episode, it was fun. And it provided for lots of great fresh NZ footage. A fresh, creative story. But on the other side, we didn’t get much from the threat of a Galactic Ninja. They should really be more than just MOTWs. But the Rangers really didn’t even put up a struggle. If anything, they put up more of a struggle against Victor and Monty’s shenanigans. Anyway, it was still a fun and enjoyable episode. A good two-episode streak. And apparently one more until the dreaded hiatus. Hopefully they end strong. 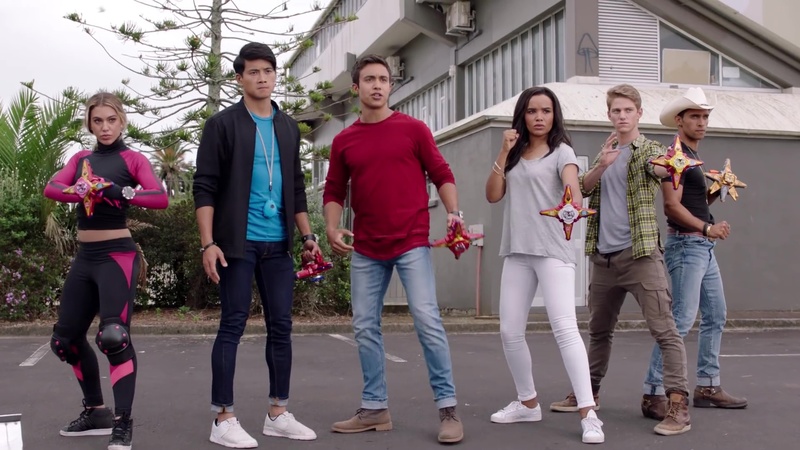 I noticed each episode of the Galactic Ninjas focuses on each Ranger, last episode was Hayley & Calvin’s, this one was Sarah’s, and judging from the name of tomorrow’s episode, it will be Brody’s. It’s a shame Speedwing got destroyed, I was hoping to see all the Galactic Ninjas together fighing the Rangers. Good point! It would be awesome to see all the Galactic Ninjas fighting the Rangers. That would be an exciting battle.